WASHINGTON (CNS) — The Knights of Columbus has begun a nationwide television and digital ad campaign to spread awareness of the situation of Christians in the Middle East and raise funds on their behalf. The ad features Father Douglas Bazi, a Chaldean Catholic priest from the Kurdish region in northern Iraq. He tells the story of how he was taken by Islamic militants and tortured for nine days. “Help my people and save my people,” Father Bazi says in the ad. 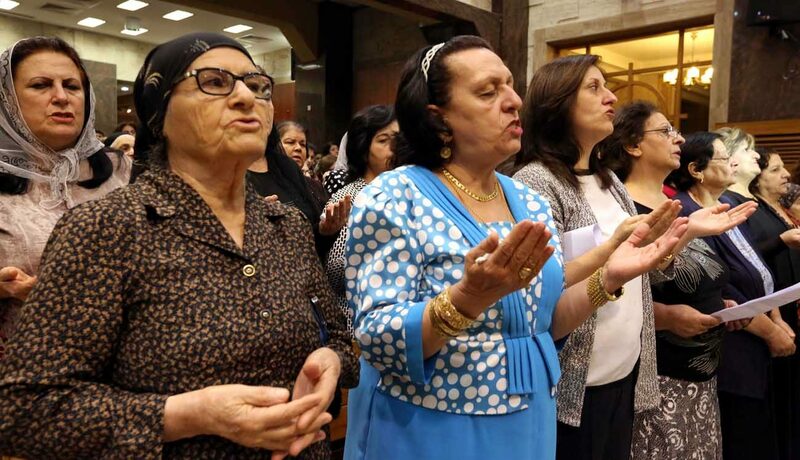 “If it gets bogged down in procedures, and ends up taking months and months to get here, it would be too late,” said Rasche, who works for the Chaldean Catholic Archdiocese of Irbil in Iraq under Archbishop Bashar Warda. He also is the project coordinator for the Ninevah reconstruction committee. Editor’s Note: Donations to the Knights’ campaign can be made at www.ChristiansatRisk.org or by calling (800) 694-5713.